Baxter County authorities have arrested 27-year-old Harvey Lee Honeycutt, whose last known address is in Harriett, on a multitude of charges, including the alleged theft of a rifle and a number of checks.Baxter County Sheriff John Montgomery says the arrest follows deputies investigating complaints from residents at a house on Tucker Cemetery Road. The deputies first responded to the residence Tuesday for a reported disturbance involving Honeycutt and people living there. Honeycutt had been asked to leave the residence previously and had been living nearby in the woods in a homemade shelter. The complaining party showed law enforcement the area where Honeycutt had set up camp, but he was not found at that time. However, a variety of miscellaneous items were found at the campsite, including knives, tools, drug paraphernalia and a number of uncashed checks. The checks were on two bank accounts, one from a local business and the other from a personal account belonging to the business owners. The checks totaling more than $3,200 were believed to have been placed in outgoing mail by the account holders. On Wednesday, the complainants notified the sheriffs office they owned a .22 rifle and alleged Honeycutt, a convicted felon, had taken the weapon. They told officers the rifle had been placed in the possession of a friend of Honeycutt's. In addition, the victims in the stolen checks portion of the investigation confirmed to law enforcement the documents had been placed in their mailbox before disappearing. On Thursday, the sheriffs office was informed Honeycutt had returned to the residence on Tucker Cemetery Road. However, he had fled before deputies arrived. A few hours later, deputies returned to the residence, located Honeycutt and took him into custody. While searching the suspect, deputies found the complainant's driver's license, as well as a debit card and a check for $700 payable to the victim. Honeycutt was also holding $240 in cash. 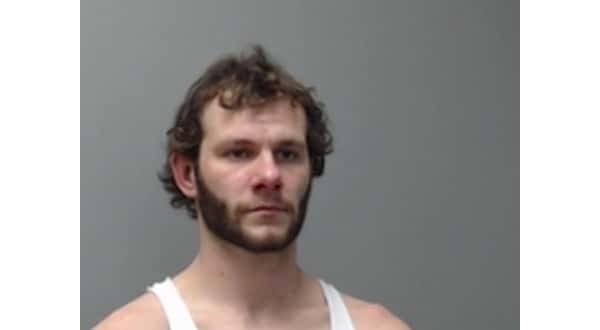 Honeycutt is being held in the Baxter County Detention Center on felony counts of breaking or entering, theft of property and possession of a firearm by certain persons, meaning he is a convicted felon. His bond was set at $20,000, and he is set to appear in circuit court next month.